So, if you know me, or you’ve read any of this blog, you know I love our National Parks. And, I’m betting your next question is, which is my favorite? 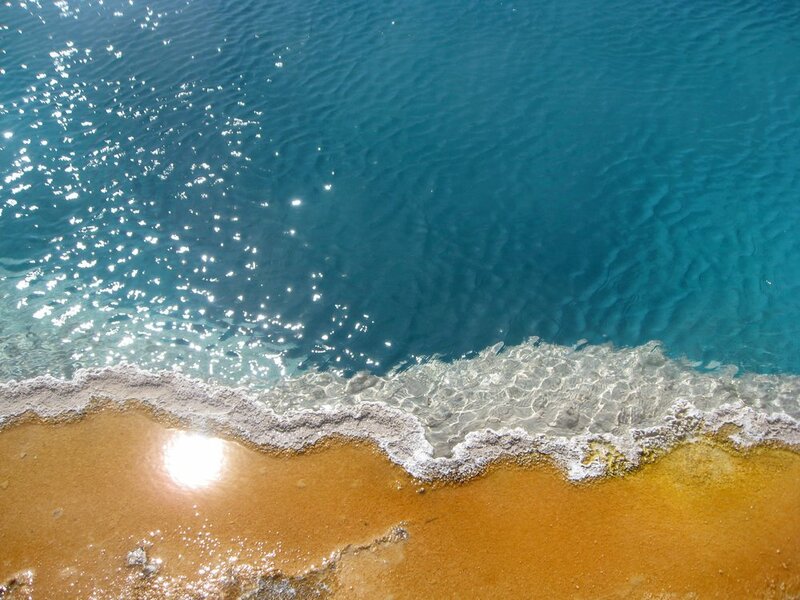 I can respond to that question in the matter of a milli-second…Yellowstone National Park. No question. Why you ask? Because it is the best bang for your buck…kinda proverbially. Not that it’s the least expensive, or easiest to travel to, or anything like that. But, if you have only one National Park that you can visit in your lifetime…make it Yellowstone. In this single park you can experience just about every environment the US has to offer…a forest full of deer, moose, bobcats, wolves, and bears, a large lake great for swimming and fishing, a spectacularly huge waterfall, a grand canyon, a rushing river, buffalo-filled hills and plains…and don’t get me started on the geothermal area. Hands down my favorite spot in the park. The colors in the thermal pools are amazing. The water is crystal clear and the pools can range from aqua blue to rustic red to rainbow. They look remarkably inviting and refreshing, but be forewarned that they are scalding hot and dangerous. There is also a small road-side lake in Yellowstone, Isa Lake, that sits on the Continental Divide…one side flows to the Pacific and one side flows to the Atlantic. How cool is that?! Blows my mind that water from this little lily-pad filled lake impacts water as far away as the Pacific and Atlantic oceans. My husband and I have traveled to Yellowstone not once, but twice. Once when we lived in the Midwest, and once when we lived in the West. So, to say we’re dedicated to seeing this park is an understatement. We have traveled miles and days from both ends of the US to visit. Once without kiddos, and once with kiddos. The first time to the park (many, many years ago) we stayed at the most adorable pine cottages at Absaroka Mountain Lodge, out the east gate of the park. The park was working on the road to that entrance during our stay and would close the road at night. Many of the nights, after spending a full day in the park, we were speeding back to the lodge, praying that we got there before the road was shut down and we were stranded overnight. Good times. We also got to experience the bison up close and personal. A bit of advice…if you see a herd of bison up on the hill overlooking Hayden Valley and your vehicle is between the hill and the stream in the valley below that they frequent for drinking…STAY IN YOUR CAR. At some point that herd will likely stampede to said valley and you want to be inside your vehicle, not outside, snapping photos when they do. The second time we visited we stayed at Togwotee Mountain Lodge located out the south entrance of the gate in Moran, WY. It’s situated between Yellowstone, Grand Teton National Park, and Jackson Hole. Togwotee offers horseback riding right out the back of the lodge. If you’re into that thing, I highly recommend it. It was my daughter’s first real trail ride and highly impactful at her young age. The trail boss shared that he was moving back to Minnesota because the winters in Wyoming were too cold for him…let that sink in a minute…how cold must it get to have a crusty cowboy from Minnesota say it’s too cold?! One more thing…when you visit Yellowstone, you MUST also visit the Grand Tetons. To go to Yellowstone, and skip the Grand Tetons should be a crime.